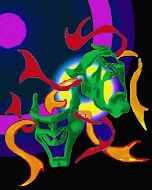 The musical has a book, music and lyrics by Sara Jeffs, and is a classic re-telling of the biblical story of Adam and Eve. 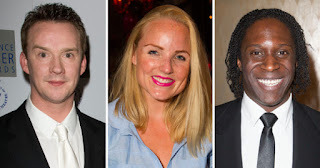 Kerry Ellis (Wicked) will play Eve, Hugh Maynard (Miss Saigon) will play Adam and Russell Watson will feature as the voice of God but will not appear on stage. The production will be directed and choreographed by Racky Plews (American Idiot), with set design by Jacqueline Pyle (Olympic opening ceremony), and arrangements by Geoff Alexander (the Harry Potter films). The creative team will recreate the Garden of Eden in arenas around the UK, with special effects including fire, water and animatronics. Tickets for Heaven on Earth which will open at Birmingham iBarclaycar Arena on 4th December 2017 before embarking on a UK tour to Birmingham, Cardiff, Nottingham, Leeds, Manchester, Sheffield, Edinburgh, Liverpool, Aberdeen, Portsmouth, Newcastle, Glasgow, Exeter and Wembley.